An outdoor screening of the award-winning film, Bohemian Rhapsody, is coming to Halifax later this year. The Shay Stadium will host the Cinema Under the Stars event on Friday 17 May from 7pm. Visitors can enjoy the atmosphere from the pitch and watch the celebrated film on a giant screen. Bohemian Rhapsody (rated 12a) is a foot-stomping celebration of the band Queen, their music and their extraordinary lead singer Freddie Mercury. The film traces the meteoric rise of the band through their iconic songs and revolutionary sound and culminates in their iconic performance at Live Aid. The event is the first to be held at the stadium after the venue’s events licence was upgraded to allow for evening film screenings. The new licence also covers live music events and indoor sporting activities. “This is an exciting new event for Halifax and it should be a fantastic atmosphere at the Shay. “The Shay Stadium is a great venue, with high-quality facilities both inside and out. Since upgrading the licence at the stadium we’re now able to host film screenings like this, which will really make the most of the venue outside of the football and rugby fixtures. People can watch the film with their own picnic, or enjoy the food, snacks and bar facilities on offer at the Shay. Tickets for the event can be booked at https://www.eventbrite.co.uk/e/bohemian-rhapsody-outdoor-cinema-experience-in-halifax-tickets-55466042426(external link) and cost £12.50 (plus booking fee). 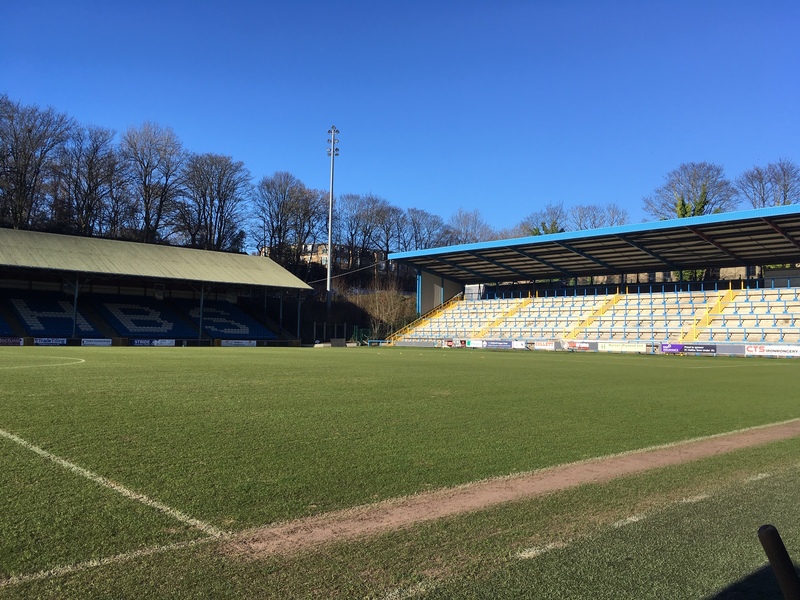 The facilities at the Shay are also available for hire, with a variety of room sizes available as well as a banqueting suite which can accommodate up to 250 people. To find out more about Shay room hire and catering options, contact julia.stanger@calderdale.gov.uk or call 01422 264747. This entry was posted in Events, Licensing. Bookmark the permalink.